Ronnie Herel Blogizm | Miguel – R.A.N. 16 Jun Miguel – R.A.N. 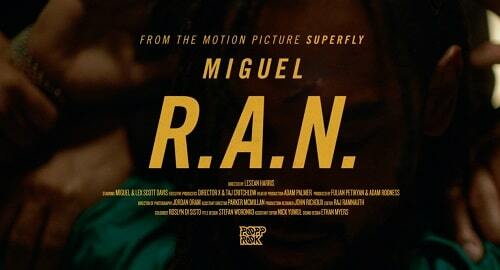 Miguel has contributed to the Superfly movie soundtrack in a big way with his single ‘R.A.N’. Produced by Nowels and himself, the piano-laden ballad is about spit game to a love interest. The soundtrack for the film was curated by American rapper Future and features thirteen new and previously released songs, as well as guest appearances from Lil Wayne, Khalid, Ty Dolla Sign, Young Thug, PartyNextDoor, H.E.R. among others.